First submitted Sunday, 18 February 2018 at 18:59:03 by Patrick L H Brooke. 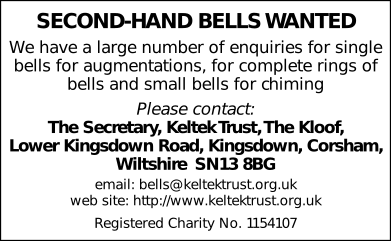 Sent for publication in The Ringing World on Wednesday, 21 February 2018 at 22:33:55, and printed in issue 5576, page 230. This performance has been viewed 860 times.